This is an instant download and printable seating chart poster that is personalized and modern. 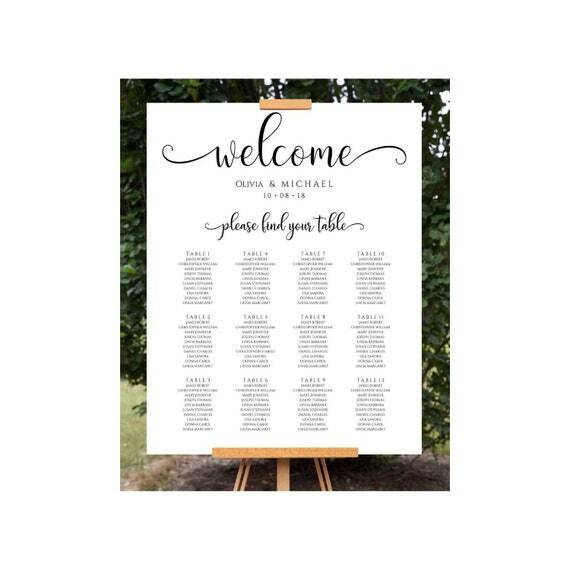 This find your seat sign is Ideal for welcoming your guests to your reception and helping them find their seats. Since this is an editable file, put the names in alphabetical order if you wish. You will receive 3 editable PDF templates that you can fill in each name and table number. ** Please Note** This design is for personal use only (non-commercial use). Announce It! retains all image design rights. You may not share,sell or redistribute this design. Do you have questions or want to order by phone? Call us toll free 888-508-1574.